Reading has a significant number of benefits. First, you gain a good knowledge of many topics. This information may come in handy when you are tired of employment and, you want to venture in the business world. Second, you can massively improve your vocabulary. This can help you relate better with your superiors at work because you know that your communication is exceptional. A remarkable vocabulary will be especially invaluable when you want to approach your bosses with new ideas or about promotion in the company. Lastly, reading has been known to lead to stronger critical thinking and analytical skills You will be able to correctly judge situations in life. This is an essential skill in a world where manipulation has become a way of surviving for some. The benefits of reading cannot be highlighted enough. In this age of the internet where many people display attention deficit by constantly switching between activities, you will well and truly stand out by being a voracious reader. This book teaches you how to make a real connection with people. It teaches that criticism does now yield any results. In fact, it leads to resentment. Do not condemn people; the best way to teach someone is by acknowledging what works and what does not. It teaches that remembering someone’s name and encouraging people to talk about themselves goes a long way in establishing a unique bond. Carnegie also talks about the art of charm. It is a skill that has to be mastered for you to go far in your personal and, career life. People like talking to other people that they like. Competency can you in the door get in the door but, people enjoying your company will keep you there. The final part is about making other people happy doing the thing that you suggested. This is a book that teaches you that money will only make you more of what you already are. He uses the example of fears and insecurities. He states that these will not magically disappear once you have money; they will only be exacerbated. There is a clear distinction between how rich people think and, how poor people think. These thought patterns inform the actions they take in life. It is crucial for the poor to study the nuances of their thoughts and adjust accordingly. The book also touches on adding value. We should not only add value for ourselves but also for the coming generations. One of the most popular books in the world. This book is all about changing the view you have about money. Sticking to traditional – and outdated – views about money will ultimately make you poor. To give this financial advice, Robert uses the example of his father and his best friend’s dad. His father had a decent level of education while his best friend’s dad was school dropout. Nevertheless, because of the diverging views the two held about money, the school dropout was able to become wealthier than his more educated dad. This book is more of an autobiography. It is about the life of Richard Branson. You know, the billionaire owner of Virgin Group Limited. He shares life lessons that have shaped his business and, personal life. He talks a lot about not listening to the naysayers and doing something, even if it has never been done, that you have set your mind to. This is truly an inspiring book. A book about relationships had to be in here somewhere. It is almost impossible to live life without forming relationships. This is the book for you if you are struggling with communication or, intimacy issues in the relationship. The book talks about how men like to fix things and how women like to improve homes. It talks about how men like to keep their feelings to themselves and how women like to share. It talks about how to communicate difficult feelings. The ultimate lesson is how to avoid arguments by understanding your partner’s differences. What is really the place of modern thinking man within a world full of problems, tensions, conflicts and anomalies? Indifference, personal interests and the limited scope each one has set around their being should be the starting point in answering the question: Is humanity completely removed from esoteric and philosophical exploration? What an impartial observer could immediately state is that modern society lives in a semi-hypnotized condition. Unfortunately, at the level of the individual human beings, processes cannot be triggered instantly as our inner equipment is very insufficient for a true individual intention. Is this the same with esoteric and philosophical schools? Supposedly, today, people are in search of different teachings that aim at the creation of awakened individuals who possess an active will for unconditional participation in the world problems. Is this really happening? The truth is that the emphasis has been put more on the form and much less in the essence. To understand the way modern esotericism is dealing with the problem of the creation of a common force of Good that will counterbalance the tendency towards chaos and the Bad, we need to grasp the distinction that exists between real action and any substitute thereof. Behind any meditation, vision or prayer for love all over the world, there is a certain “must” and very little warmth. The mechanistic mentalism is adequately developed, and it generates ideas, interrelates information and is in a constant effort to reach conclusions. Such conditions can certainly make us better people, but only as far our interpersonal relationships are of concern. What About Those Who Are Really Working? When talking about esotericism and progress of the humanity to be credited on philosophical exploration, our mind goes to individuals who work truly, but whom unfortunately we show little care about. Any progress made so far in this world is due to few people who gave in their struggle everything they had. They were warm in their hearts and very real about their ideals. What they felt as an impulse to act, was a natural thing and not the product of mimesis. Their will was firm despite the seemingly (to the huge majority) insurmountable problems they encountered. The shortage our modern society is facing, unfortunately is in this type of people,the real workers. The esotericist of today is unable to stand up and proclaim or even fulfill their will. The reason for this inability is that between the will of the modern esotericist and their ideals interject methods and mimetic procedures or even styles. Such interferences block the attainment of the conception of life of self-evident sacrifice and struggle. Despite this bleak condition of modern humanity, we must retain our belief that there is always a path connecting “here” to “there” and this is the path of the truth. If the genuine search for the truth is missing, the void inside the esotericist will continue polluting the sources of life, no matter how flashily they clothe their conscience. To bring humanity closer to esotericism and philosophical exploration we must first realize how poor we are inside, how deep our lack of a genuine will to find the truth is. There is something rotten in the realm of Western universities. For two or three years now, especially in the Anglo-Saxon world, there has been a new delirious whiff of political correctness. If, at one time, the university institutions could be places of discussion and criticism open to all the debates, today, they tend more and more to be nurseries for adults, where it is more important to protect young students against possible trauma resulting from the confrontation with the thought of others, than to open their mind. While this wave of political correctness has mostly affected American and British universities, it has now reached the shores of Lake Ontario. One case has been in the headlines of Queen’s and English Canada’s media since the last academic year. This is Professor Jordan Peterson, who has been teaching psychology (his specialties are the study of personality and the psychology of religion) at the University of Toronto since 1998. Before he was hired, he had been a professor at Harvard. What is at stake for him is first his job and his license to practice psychology. He is also exposed to possible legal proceedings. What he is criticized for (and by “we”, I mean LGBTQ + activists and his own university), is to refuse to publicly use neutral personal pronouns in the presence of, or when he comes into contact with transgender people. According to the regulations of the University of Toronto, the student has the right to choose the pronoun he wishes to use in his communications with him. Professor Peterson refuses, in the name of freedom of expression and freedom of education, to use these artificial pronouns. “I do not recognize the right of anyone to choose the words I will use, especially since, on the one hand, the words that I want to use are non-regular elements of the English language and, on the other hand, these constructions are the creation of a small coterie of ideologues. For him, it would be giving in to political correctness to submit to the wishes of a handful of activists, who represent only a tiny part of the population: “I believe that artificially constructed words such as pronouns supposedly “neutral” from the point of view of gender, are the manifestation of a wave of political correctness whose historical roots disturb me (Marxism) and whose psychological motivations seem doubtful to me (because they rest on the will of ‘infantilize and intense resentment of success, whatever its origin). Recall that only totalitarian states have tried to regulate language and knowledge in this way. Professor Peterson is of the opinion that requiring everyone to comply with such an obligation is a perfectly unrealistic expectation. When we began to want to impose it in universities, Peterson recalls, “They had no idea that, of two kinds, we would soon be over 30, if I refer to those who are the subject of a legal protection in New York City. (…) Perhaps we would be able, if need be, to use “they” to designate the people who ask for it, because they do not correspond perfectly to the traditional categories. But 30 is obviously impossible – and there are now lists that include much more than 30. Let’s say that it is nevertheless incredible to think that theoretical constructions, ideological constructions, such as those relating to gender, highly discussed and highly debatable conceptions, can serve as a basis for legal texts as important as a charter of rights or a criminal code, without an in-depth public debate taking place. Our governments really must have lost all critical thinking and completely surrendered to the demands of very militant lobbies to make this happen. What this heartbreaking episode reminds us of first is that freedom of expression in Canada is extremely framed. We do not have, as in the United States, a First Amendment that protects the dissemination of ideas, even contestable (and again, we see today, the particular policies of universities often limit its scope). As the categories of persons who are subject to discrimination are added to the Charter of Rights and the Criminal Code, this freedom of expression is likely to diminish. Because everything becomes subject to interpretation by the courts, and we never know if this or that statement, even if it is stated in an academic context, will be qualified as hateful. For the moment, Quebec still seems to be spared, to a large extent. But it would be illusory to believe that we will be forever immune. Fortunately, responsible leaders still exist around the world. Like Jordan Peterson, we must salute these courageous individuals. For example, the Dean of Students at the University of Chicago, who in a public letter recently announced to the academic community: “Our commitment to academic freedom means we do not support the so-called prevent warnings , that we do not cancel invitations to speakers whose points of view could provoke controversy and that we do not tolerate the creation of safe intellectual spaces ( safe zones) where individuals could distance themselves from ideas or perspectives that differ from theirs. (…) The diversity of opinions and formations is a fundamental strength in our community. Members of our community must have the freedom to exhibit and explore a wide range of ideas. On September 30, during a radio interview, Professor Peterson warned: “I have to tell you something that scares me terribly and that you can think about. I think that the continual and carefree push of the people by the radicals of the left movements has the effect of awakening the movements of the right. You can think of it as a prophecy on my part if you will. A beast is inside our communities and this beast uses its claws. If you wake up the beast, the violence then breaks out. I fear that this constant push by radicals left movements has the effect of waking the beast. On November 8, the beast woke up south of the Canadian border. Which Country has the best medical care in the world? According to the World Health Organization, France has the best medical care system in the world.France has an excellent state run medical care system that ensures that the state pays the higher percentage of the cost of medical care for every patient. These are the following reasons why France’s health care system is the best compared with other advanced countries in the world. Several industrialized nations in the world provide Universal Health Insurance but France’s health insurance coverage is regarded as the best. France spends an average of 12% of its GDP on health care on a yearly basis, this is more than that of other industrialized nations in the world. Another reason why France ranks very high in terms of health care is that French citizens have better access to health care compared to other advanced countries. In several industrialized nations, citizens have to endure long waits before they can see a specialist doctor or have surgery. This differ from country to country, the situation is better in America and Germany compared to other advanced countries but overall, France performs best in this category. Another reason why the health care in France is very popular and reputable is the fairness of its health care to citizens irrespective of financial status. While countries like America performs poorly in this regard, France has a very fair health care system. The disparity between the health care given to richer or poorer citizens alike is very minimal. Citizens of France have healthier lifestyles compared to other industrialized nations. While America has a high infant mortality rate and a poor life expectancy of 60 years, France does better in terms of the overall health of its citizens. France has a life expectancy of 82.67 years and has a low infant mortality rate. On the average, French citizens have an healthier lifestyle compared to other industrialized countries. France has a quality health care system. The quality of a health care system is defined by the access of a citizen to the right care and standard clinical procedures for every given health condition. French citizens have access to the proper consultants and medical practitioners for every health problem and are treated with the best procedures. France also performs exceptionally well in terms of patient satisfaction. This is not the case in several advanced nations of the world. In America for instance, there are many negative reviews of the health care system by citizens. This is an aspect where France’s health care system excels better than other nations in the industrialized world. Many French citizens are satisfied with their health care system. The integration of information technology into health care delivery is another reason why France is regarded to have a sound health care system. Compared to other advanced countries, France is more advanced in terms of the use of information technology in the health care industry. This is characterized by electronic medical records, electronic prescriptions among others. A lot of people today have become more dependent on the use of pharmaceutical medicines compared to using medicinal plants. Although there are studies that show positive results from treating illnesses using herbal plants, people are still quite reluctant. People are aware of the benefits when using herb plants, but it seems, only a few will give a shot for it for treatment. To give a little light about herbal medicines, a study conducted by University of Maryland Medical Center shows the history, as well as the functions of the most common herbal medicines. It was stated that the use of plants had long been part of the tradition in human history. People’s primary source for treating diseases before is the plants around them. There are healing rituals and other medicinal systems recorded that involve the use of herbal plants. So, it is quite safe to say that plants have been proven quite effective long before. But, what happens why people are still in doubt with these herbal products? According to Mother Earth News, these might be the reasons why people are still in doubt of using medicinal plants. 1. Labeling of the herbal medicines. If you have noticed, medications that involve herbal plants are labeled as food supplements rather than as drugs. Although herbal manufacturing companies may need to meet specific requirements to be able to function like a drug, it will still affect the perception of people regarding herbal medicines. Supplements may take on health benefits but are still subject to approval by the Food and Drug Administration. 2. Lack of financial support for research. Compared to pharmaceutical companies, where billions have been given to fund in continuous research and development, herbal products have less financial capabilities to sustain the research. When an individual product lacks enough research, it will never be a thing into the industry of medicines. Medicines, may it be man-made or from herbal plants, require strong supporting evidence to be able to be part of the market and can also be trusted by the consumers. It requires thorough and continuous research. Without enough funding, often, researchers will give up on the project. 3. Lack of proof for the effectiveness of the herbal medicines. This reason is more of an effect to the previous one. People like to hear confirmation from other individuals and from researchers about how useful is a medicine before considering it. Without these proof, it is impossible for the consumer to be able to use or even recognize that certain herbal products. Often, people hear testimonials of the effectiveness of herbal medicine, but it is still not enough to convince the majority of the people. Sometimes, people even will not inform their doctors that they have taken an alternative medicine; afraid that the doctors might question its effectiveness. Adverse reactions might not be a concern as there are only a few incidents of harmful effects of medicinal plants reported, but it is still part of the reason that might need to be considered. Sometimes, because people are not sure on what to take, they will go for both medications. It is quite risky as there are individual reactions when you take a herbal medicine together with prescription drugs. Often, the herbal medicines are taking all the blame. It is why it is important to always ask for advice regarding treatments. These are some of the causes why people have lesser faith when it comes to herbal medicines. Even if we know there are lots of benefits, for example, less adverse reactions and cheaper compared to prescription drugs, it is still quite hard to make them explore the benefits of herbal medicines. Still, knowledge is power and if people continue to be educated by its effects, then maybe, things might change. In a few months, summer will be on its way out, but it’s not too late to catch those last few rays of sun and look great while you’re doing it. 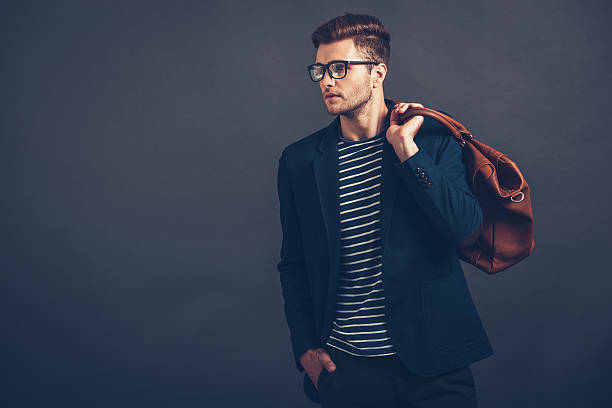 Dressing well in the heat can be a major annoyance for guys looking to dress well. Heat and sweat can make dressing fashionably during the hottest months of summer into a nightmare, but they don’t have to be. The trick is to find versatile, comfortable, breathable clothes that fit your personality and personal taste without suffocating you in the summer sun. Stay ahead of the curve this summer with these stylish fashion tips and tricks. Whether you’re a button up guy or a plain old T-shirt guy, finding a comfortable, classy top should be your first step in getting a summer wardrobe. If you’re looking for a button up, make sue the sleeves are fitted and not too loose. Avoid shirts that are baggy in the shoulder area and loose around the chest. Find a size that fits you right, and don’t be afraid to wear something a little tighter than what you’re normally used to. Also, pick a style that fits your personal taste. A plaid pattern, fun print, or bright color can make a boring old shirt into a head-turner. Looking for a place to start? Try Nordstrom! Their casual short-sleeve button downs are slim fitting and you can find a design that works for you. You can find classy, casual, and fun shirts on their website. If you’re a T-shirt kind of guy, make sure you’re getting the right size. You don’t want something too loose or baggy, but you also don’t want a shirt that clings to you uncomfortably. Avoid pure cotton shirts, which soak up sweat, and instead look for more breathable synthetic fabrics that will help your sweat evaporate without giving you unsavory armpit stains. It’s best to choose a plain T-shirt in a primary color, especially red or blue, but pick whatever you feel the most comfortable with. Avoid pure white shirts though. No matter what material, white cloth will almost always show sweat and turn an ugly yellow color if sweat stained. You can find the right T-shirt pretty much anywhere, but if you want a good place to start, Under Armour and ASOS are good brands to consider. Nothing makes a guy look more sophisticated than a pair of sunglasses. Whether you want to look classy and polished or slick and mysterious, sunglasses are the way to go. Plus, it’s summer. You’re going to need sunglasses anyway. Just make sure to find the right pair of glasses for your face shape. If you have an oval shaped face, pretty much any kind of sunglasses will work for you. If you have a strong jawline and a square shaped face, aim for round frames to soften your harsh features. Think aviators. If your face is round, you want angular shades to help your cheeks look slimmer. Go for squarish frames or clubmasters. If you’re wondering which brand to buy, Ray-Bans is always a good place to start. If you’re willing to spend more, check out Oakleys. They’re a well-recognized name, and their sunglasses are attractive and durable. Loose, long, baggy cargo pants are not doing men any favors. Instead, pick a pair of shorts that are a little slimmer and shorter. For this one, you’re probably going to actually try some shorts on to find out what works best for you. As far as the look goes, you can’t go wrong with khaki or navy blue colored shorts, but bright colors like coral and peach can amp up your summer vibe. If you’re looking for a quick cheap pair, Old Navy and Abercrombie & Fitch are the places to shop. If you want something a little more high-quality, Ralph Lauren flat-front chino shorts are your best bet. Flip flops might be comfortable, but they aren’t usually in style. Feet aren’t usually the most attractive part of the body, and hairy toes don’t help. Boat shoes are classic, comfortable, and have been in style for years. You’ll be able to find a pair in pretty much any shoe store you walk into. Sperry is a great brand, recognized for their comfortable and quality boat shoes, but if you’re looking for something a little more elegant, Tommy Hilfiger Men’s Pharis canvas boat shoes might be the right ones to check out. This is the single most important fashion tip you can get for the hot summer months. No matter how great of a dresser you are, sweat, body odor, and body hair can be a turn off. Just make sure to shower daily, trim excessive body hair, and stay on top of applying deodorant. Instagram is helping push the beauty and makeup industry. Everyone likes what their eyes are attracted to. Instagram is providing the interface which is helping everyone seeing something they like and attracted to. When we see something in beauty and makeup that looks good usually we want that too. Makeup makes us look better and help us build our confidence as well. 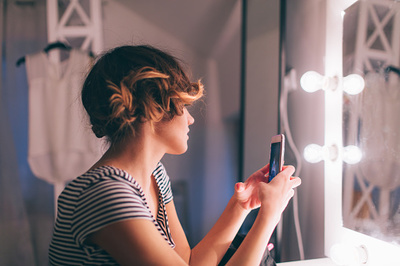 Nowadays with help from Instagram a social media application the beauty and makeup industries are taking full advantage of the app. People worldwide are now getting more exposure to beauty and makeup products. The use of the makeup and beauty products applied by many models and other people pictures were taken are instantly shared on Instagram, which makes the images go viral those that most appeal to the eyes of viewers. While the images are instantly shared by the Instagram application users. The images are helping push the beauty and makeup industry around the world without any extra cost. The number of followers grows each and every day by billions of people seeing what they like. Instagram provides the extra boost required by the brand for more and more business revenue from sales. When seeing the makeup product used by someone and how it looks more people go buy the brand generating more revenue through the sales in beauty and makeup industry. The digital marketing through the social media network free of cost so there is nothing to lose only to gain from Instagram. As by human nature, something that’s visually communicated to us rather than someone communicating with us through audio is more appealing to us. We usually pay more attention to the visual way of communication and this is provided by the Instagram app. To help the beauty industries to grow and expand their products and name of the brand worldwide. For the beauty industries, the Instagram has higher interaction rate for all beauty industries equally in the world. Since the Instagram also provide very easy to use interface the images are instantly shared. The Instagram focus less on content and more on the visual interaction makes it best platform and beauty industries. The Instagram application is providing importance for the beauty industries for their makeup products. With the visual interaction, the use of text for providing catchy lines with images are easily remembered by the viewers on their next shopping trip to buy the beauty product seen on Instagram. Instagram is useful for all small and large industries. Beauty industries whether stabled or unstable in the market can get the required boost from the Instagram application. It will certainly help the brand grow without a doubt. The help it provides to all the beauty industries is unbiased and easy to follow gaining an advantage of the Instagram app. Already it has helped millions of beauty industries to have an interaction with new and old customers equally. It’s every beauty business owner’s goal to keep their old customers happy and has new customers for achieving this in beauty industry Instagram is helping in every way possible. As we ushered in 2017, doors of new beauty trends opened. Some of those trends are new while others are just and advancement of what was there in 2016. Below are 7 makeup trends that are growing. They will make you feel and look good all year long. The black pencil liner traced along the inner waterline of your eye has faithfully replaced the cat eyeliner, which was quite common in 2016. It is similar that you used back in middle school only that this time round you could actually pull it off. If you think that makeup trends from the last century are completely gone, think again because beauty signifiers of the 1980’s have made a comeback in 2017. These trends are growing at a lightning speed and they include poofy hair, use of the color blush, and blue shadow. After perfecting your eye makeup artistry with breeze eyeliner and intricate shadows, you can boost your lashes using eyelash extensions that draw attention to your eyes – there are many premium ones available such as Xtreme Lashes. Fake but gorgeous eyelashes exist, all of which come at a reasonable price. You can invest in several of them just in case you misplace one of them. One of the biggest hair trends on 2017 is straightened, shiny, and parted at the center. To enjoy this hairstyle, you have to make sure your hair is strong and shiny compared to fried hair. Also before putting a straightener through your hair, protect it with the appropriate products to prevent breakage. When the lip liner gives your lips a glorious effect, you can as well forget it and try smudged lips. Apply lipstick, smudge out the liner. Then use a large brush to buff it out before applying gloss on top and within the lipstick. Do not apply it on the outside parts of your lips. This trend of lipstick application gives you the confidence to go clubbing and even kiss without deliberately being stained. The metallic lite is still trending even in 2017 but fashionable women do it more delicately to match the changing fashion. To move with the wave, try little touches on your gold highlighter on the cheekbones or swiping silver shadow. Be sure to use just a little amount to achieve the desired effect. You could do so much with your hair but the high pony is one of the trending hairstyles this year. All you need to do is stack your hair all the way up and secure it. The tighter you hold it, the more lifted your face will look. Best thing is that you can choose to do it rumpled or as a stick straight. Either way, it will look great. Most of these trends may be seasonal and as the year grows, new makeup styles may come up. Currently, however, the above are trending. You should adopt them because they will make you look fabulous especially when it comes to extreme, but fashionable eyelashes. Without over emphasizing about fitness, physical exercise is essential to a healthy lifestyle. Many people know physical exercise as a means of losing weight, but the truth is physical activity has many health benefits than just weight loss. When you actively integrate physical activity into your daily life, you will not only enjoy good health but also you are likely to increase your lifespan and your general well-being. To enjoy good health, it is crucial that you exercise regularly and combine that with taking a healthy diet and if you must use medication natural herbs are the best. You must have heard this myth that for you to enjoy good health, you must spend many hours at the gym, right? That is not true. Recent research indicates that 58% of those people who engage in more than one physical activity person week enjoy the benefits of good health. What these statistics show is that you do not have to be stuck to the same boring gym workouts every passing day. You can opt to go running one beautiful morning or go swimming or further still play your favourite game, and you will still reap the same health benefits. Do you have to hit the gym all the seven days of the week to reap the benefits of exercise? Absolutely not! A research study shows that 30% of those considered successful in physical exercise, engage in physical activity only five days in a week. However, you need to engage in a vigorous physical exercise for at least 30 minutes each day to strike a balance between the cardio and the body weight. 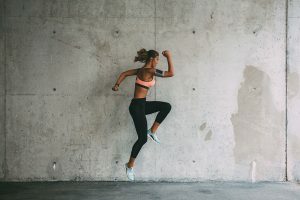 You might be wondering, “What will it benefit me to strain myself in doing 30 minutes of vigorous exercise 5 days a week?” well, studies show that people who exercise regularly have the advantage of reducing chances of getting some of the lifestyle diseases such as heart disease and diabetes. They also reduce chances and risk of getting depression or back pain. Even renown doctors agree that physical activity plays a significant role in reducing the risks of all these diseases and many others. That is not all; physical exercise will help you in attaining an ideal body weight. This is because physical activity increases the rate of your body’s metabolism which translates into increased calories burning in the muscles. If you intend to reduce your body weight, you must engage in a vigorous physical activity otherwise your weight loss dream in nearly an impossibility. The big question now is, “Does fitness matter?” you bet it does. Physical activity might not be the one single answer to the health question because, to enjoy good health completely, you must strike a balance between the physical, mental, social and spiritual aspects. But the truth is if you can increase your physical activity without neglecting the other aspects of health. You stand a chance of reducing chances of contracting certain diseases, increase your heart health, increase your focus, better your blood circulation, lower your blood pressure and bad cholesterol, improve your mood generally and successfully manage your weight.